Obituary for Claire Morrison | W. J. Dooley Funeral Service Ltd. 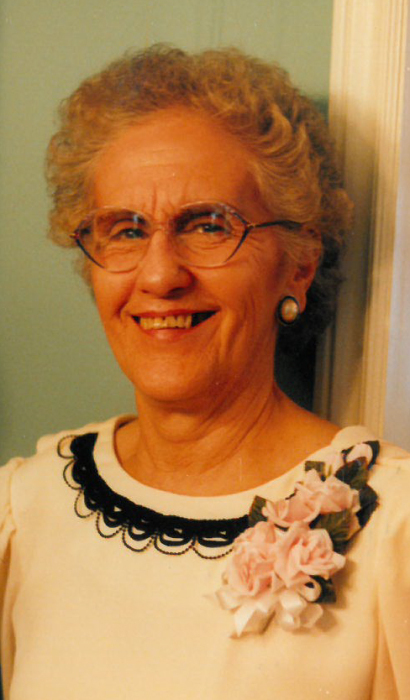 It is with heavy hearts that we announce the passing of Claire Morrison, age 85, on Thursday, November 22, 2018, at the Cape Breton Regional Hospital. Born in Stratford, Ontario, she was the daughter of the late William and Lillian (Buck) Hillier. Claire was a loving wife, mother and grandmother who dedicated her life to caring for her family and her faith. She was a devoted, life-long member of the North Sydney congregation of Jehovah’s Witnesses. Claire enjoyed skating and could often be spotted at the Sydney Mines rink. Claire is survived by her two sons, Barry (Helen) Morrison, Howie Centre, Todd (Chantal) Morrison, Montreal; six grandchildren, Kate, Seamus, Maggie, Gavin, Justin, Stella, her great granddaughter Nora and her sister-in-law Ethel Hillier of Prime Brook. She was predeceased by her husband Roy, a brother William and a sister Viola. There will be no visitation by request. A funeral service will be held 1:00 p.m. Monday, at the North Sydney Kingdom Hall. Burial will follow in Lakeside Cemetery, North Sydney.